Hold onto your lattes and get ready for a bombshell - this season is all about the blazer. 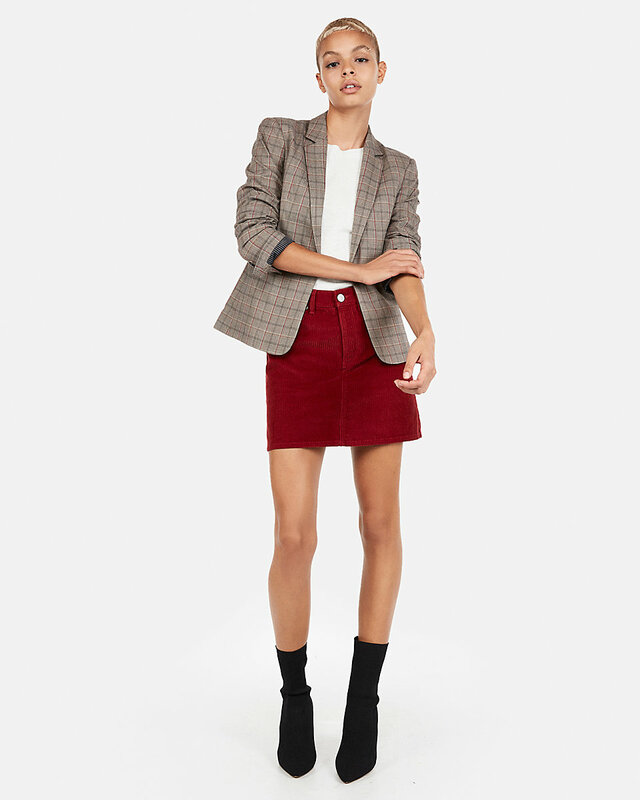 Whether you’re heading to the office or out for drinks after work, rocking the perfect blazer is the ultimate way to help you look totally put together and on-trend even when you’re secretly feeling like a mess. Now before you start bashing the blazer for being too “businessy” or shrugging it off for not fitting with your personal style, hear me out. Trust me – a blazer can totally be anything but blah. There are small ways to amp up your outfit by simply adding to or switching up your blazer that can totally make a world of difference in how you look and feel. Here are my favorite ways to elevate your blazer and give you that polished yet kicked back model-off-duty look that you’ve been dreaming of this season. First up on my list is definitely to get a belt involved. When it comes rocking an oversized blazer, you can quickly run the risk of having it look a little too big and frumpy. This is where belts come into the picture. By cinching in your waist with a statement belt, you can immediately create an entirely new shape and a whole new look. That jacket that was just a little too big to pull off without looking like you’re drowning? Totally chic with the right oversized logo belt. Try experimenting with a few different belt types and find one that fits with your personal sense of style. On a budget or limited on your accessories? The answer is simple – roll up those sleeves. By scrunching or rolling up the sleeves of a blazer, you can totally take it from too polished and perfect to that enviable “borrowed from the boys” look that’s gracing the runways. The perfect sleeve scrunch can absolutely give you that cool girl slightly undone look with little to no effort at all. If you’re feeling a little too much like a schoolgirl or a business executive (even if you are one! ), cinch those sleeves and you’re totally set. If you’re feeling adventurous, try both rolling and cinching your blazer sleeves before you head out to see which looks best with your outfit. Want a cozy way to amp up your collection of blazers? Throw some layers in it! Whether you’re pairing a crisp button up shirt with a classic sweater and an oversized blazer or opting for a bodysuit and cardigan combo, this style is perfect for keeping warm and looking totally cool at the same time. This method of elevating your blazer is totally perfect if you’re living in a colder climate. Want to look cute while commuting to work in the frigid 15-degree weather? This is totally it. Try playing around with different bodysuit and sweater combinations to find the ultimate mix for your layered up look. Last but not least on my quick list of dressing up your blazer is to add a little sparkle to your look. This method is best suited for a simple jacket that doesn’t have a lot of texture or pattern to begin with, since you’ll definitely have more to work with in terms of a blank canvas. Whether you’re throwing on an oversized vintage lapel pin or slipping on a sparkly cami underneath, this method can totally combine the others we’ve already gone over, too! Play around with your accessories and layering pieces and see which combination works best for your day-to-day and sense of style. Remember, no matter how you wear it, a blazer can absolutely amp up your outfit. The trick lies in what you do to elevate it, whether belting it, scrunching your sleeves, layering up, or adding a little sparkle. The choice is totally yours!